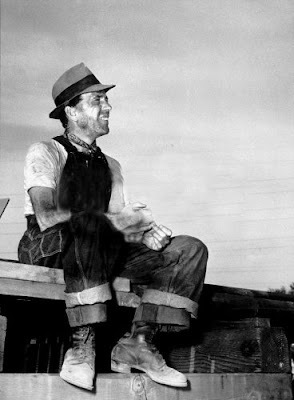 One of my top three favorite movies ever. 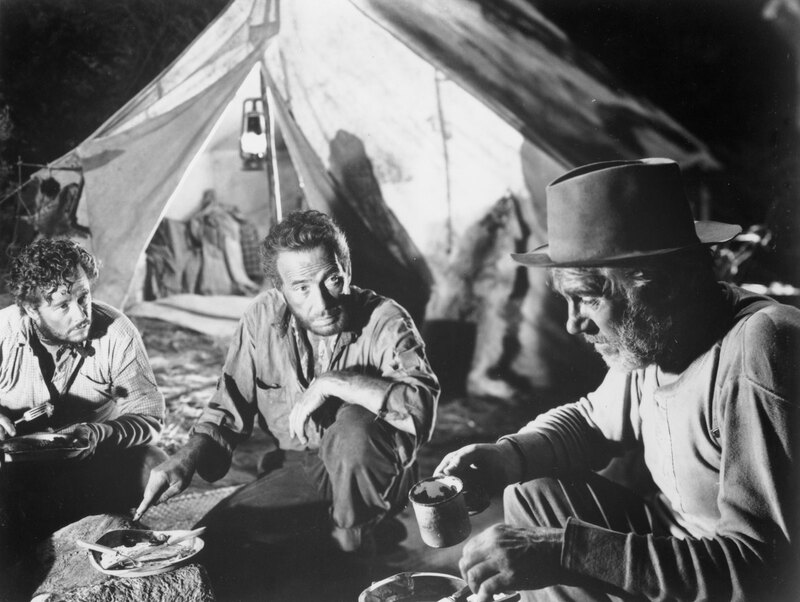 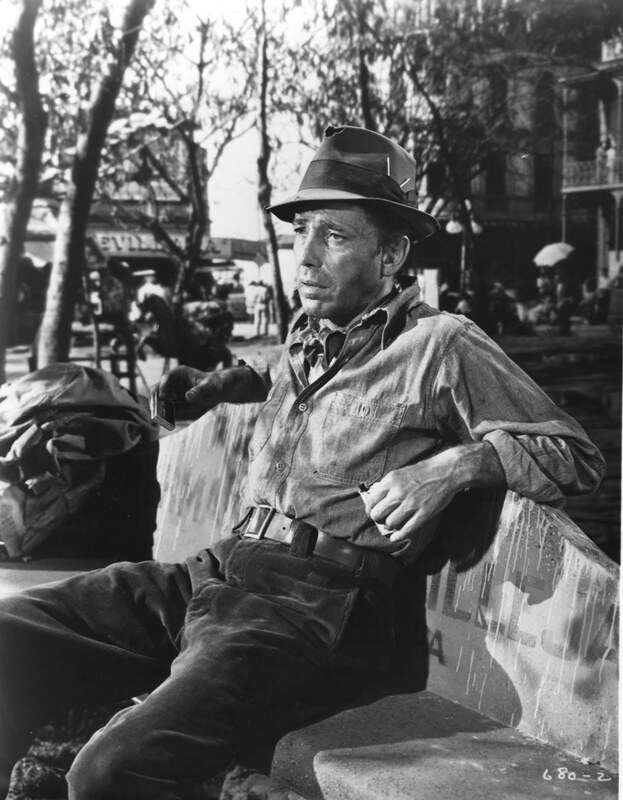 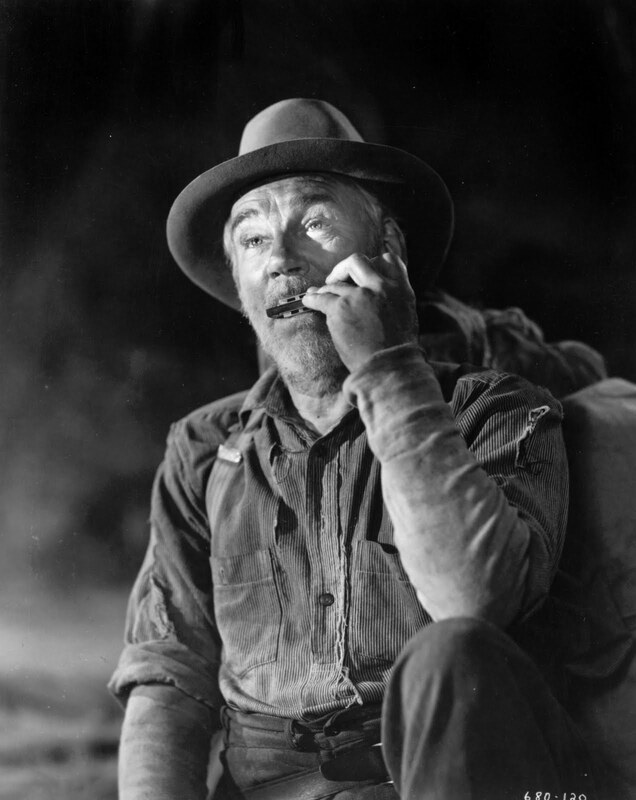 James Agee, in reviewing it, offered the effusive hyperbole he saved for those films he truly loved: "I doubt we shall ever see a film more masculine in style; or a truer movie understanding of character and of men; or as good a job on bumming, a bum's life, a city as a bum sees it; or a more beautiful job on a city. 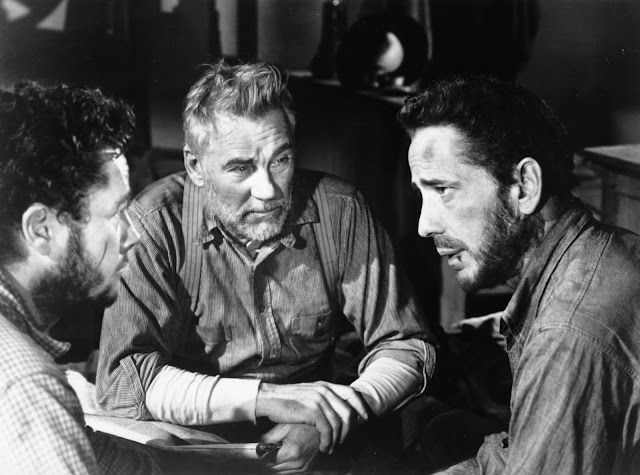 . ." It's no wonder, after that review, that Huston and Bogart worked with Agee on The African Queen (another of my favorite movies). 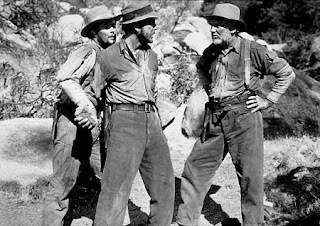 I am particularly fond of Walter Huston's wardrobe; what would you bet that's a union suit? All old men should dress like that.